The rise in the number of local breweries in Northern Kentucky is a shift from national brands and a return to the region's roots. According to Covington's Bicentennial Encyclopedia Gateway City, Covington Kentucky 1815-2015, authored by Paul A. Tenkotte, PhD, James C. Claypool, PhD, and David E. Schroeder, Executive Director of the Kenton County Public Library, the first in Covington was the Scott Street Brewery which opened in 1844 and produced up to 190 barrels of beer per month. Soon after, the Covington Lager Beer Brewery opened in 1886, and claimed to have a 30,000-barrel capacity. It had a 30-horsepower and 60-horsepower steam engine and had installed a Linde refrigeration machine. Refrigeration was necessary to brew lager beer which required cooler temperatures. Because they needed a cold environment to brew in, many breweries also became ice houses as well. "What they did was they sold the extra ice to the community," said Tenkotte, Chair and Professor of the Department of History and Geography at Northern Kentucky University. "So you had folks going down to buy ice back in the day when there weren't refrigerators, they had ice boxes. So every few days, people had to buy a block of ice to store in the ice box to keep things cold." 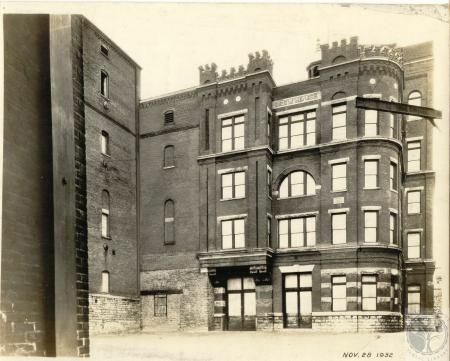 In the mid-1860's, Julius Deglow and Charles Best started a brewery that would later become the Bavarian Brewery, once owner William Reidland took over the company. It soon became Covington's largest beer maker and at one time was the state's top beer supplier. In 1893, this brewery had a 34-ton refrigeration plant capable of producing 100 tons of ice per week, providing ice to the saloon keepers who sold its brand. By 1914, Bavarian beer produced over 216,000 barrels annually. During Prohibition, Bavarian produced soft drinks. In 1925, the owners sold the icehouse to Frederick Ruh and others, who incorporated it as the Kenton Ice Company. In 1934 Lawrence Brueggemann founded and incorporated the "Bavarian Trucking Company", which was housed in a leased portion of the Bavarian Brewery. Bavarian Trucking Company later became Northern Kentucky's largest waste-service firms and still functions as such today. "I remember the Bavarian Brewery because my grandmother lived on Pike Street. That house was later torn down to make way for I-75, but I remember looking over and seeing the big smoke stacks there," Tenkotte said. There were many men whose family came from the Bavaria region in Germany to the Greater Cincinnati area in the 19th Century and who knew how to make Bavarian Lager that became synonymous with the area's beer. Famous Cincinnati brewer Christian Moerlein was born in Bavaria in 1818, as was another Cincinnati brewer, Jon Hauck. William Reidland named his brewery Bavarian and made its well-known lager as well. Reidland was an important man in Covington as he was at a time President of the Covington Turners Club and owner of the Covington Republican Club. His immense building was built like a castle with turrets to compliment the factory's smoke stacks. Its offices were housed in a separate nearby building that is now the Glier's Goetta Factory. The production of beer there was immense, cresting in the late 19th and early 20th centuries. One of the main channels for people to drink beer at the time was in taverns and saloons. Many of these establishments at the time only offered one brand of beer and worked closely with the brewers they offered at their saloons. They would also purchase the ice from the brewers in order to keep the lagers cool to keep from spoiling. "A person would go to a particular saloon and they might have Bavarian Beer or they might have Wiedemann, and that usually meant a special type of relationship with that brewery. That brewery might bring the kegs of beer and the ice with it. So it was important for taverns to have breweries and breweries to have taverns," Tenkotte said. The men who worked at the breweries were give $1.50 a day and as much beer as they could drink. Some detractors from the drinking of alcohol claim that the workers were given beer to fog their minds and continue working 14 to 16 hour days. Then, like so many other brewers across the United States, Prohibition came and wiped out all legal production of beer, lagers or otherwise. "The brewmasters made certain that the quality of the beer was very high, but what people can never imagine is how Prohibition really did effect the prosperity of these businesses. The intake of alcohol was prohibited except for sacramental wines or medicinal purposes, so they had to literally shift all of their production over to soft drinks, as they did," said Tenkotte. The soda industry just wasn't as lucrative as beer sales were, though, and many of the smaller breweries folded in that era. In 1918, the Scott Street Brewing Company went out of business and the Bavarian Brewery took a hit it could not ultimately recover from. 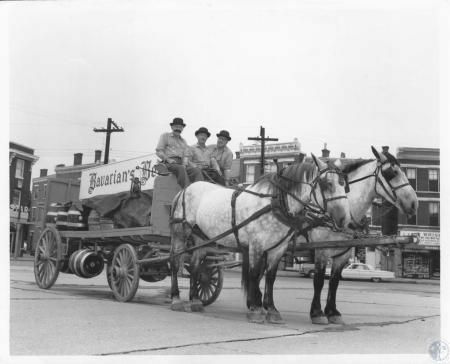 Once Prohibition was lifted, new technologies of cooling and transportation allowed for the larger companies like Budweiser to gain more of a national foothold with their ability to deliver cold beer just about anywhere. These bigger companies began to advertise nationally, further complicating business for the local brewers. "After Prohibition when they tried to get back into the business which was just at the time when the national breweries were starting to advertise nationally. That meant that Bavarian and Wiedemann had to start to advertise locally and it started to get expensive. Transportation began to change which made it easier to deliver a cold, refrigerated truck from one location to another, and then we ended up getting four or five major brands that spread across the United States. All of the smaller breweries began to close in the 1950's and 60's as a result," said Tenkotte. 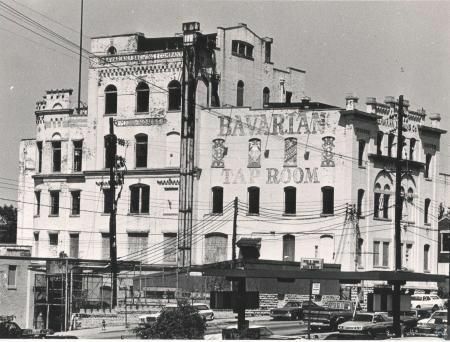 Bavarian reopened in 1935 and acquired the Heidelberg Brewery that opened on Fourth Street shortly before. Once back in the beer business, Bavarian started out advertising that it was "A Man's Beer" and emphasized its motto of Time, Tradition and Skill. On the logo, Bavarian featured three symbols that represented its motto: time was represented by the hour glass, tradition by the crown, and skill by a hand holding hops. Eventually, Bavarian started to advertise to women with slogans like "Hers Too! 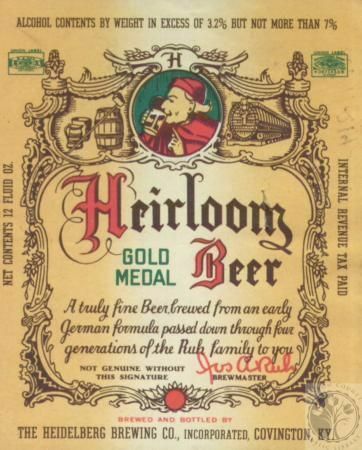 ", but by the 1960's it was too late and the brewery closed in Covington for good in 1966 when the Associated Brewing Company of Detroit purchased the right to brew beer under the Bavarian name. Now local beer is trending in a way that hasn't been seen since before Prohibition. Covington's Braxton Brewery is a sterling example of local people making local beer and succeeding in a major way. The focus of production has largely shifted away from lagers and back toward ales which is the oldest type of beer made. Other smaller breweries like Ei8ht Ball Brewery in Newport and soon to be Darkness Brewing in Bellevue have followed suit with the local enterprises. Just as it did for decades before, local brews are being enjoyed again in Northern Kentucky.